Through intimate conversations with the award-winning actress, playwright and activist, Muta’Ali not only discovers intimate details about his grandparents’ relationship, but also questions his ability to carry on the very dynasty that gave him life. “I can’t say I didn’t do anything to make Ossie unhappy…” Ms. Dee states as she carefully reveals the core commitment made between her and Mr. Davis. 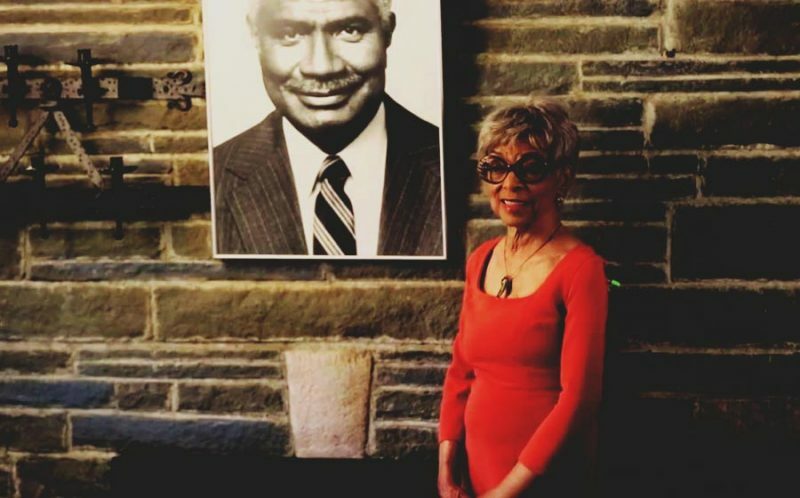 Her answer only sparked more questions for Muta’Ali, provoking him to dig deeper into the family archives and the history of He chronicles their remarkable journey as trailblazers in the arts community and activists in the Civil Rights Movement. Muta’Ali also shares exclusive video footage, family photos and memorabilia. In addition, a host of celebrity friends like Alan Alda, Angela Bassett, Harry Belafonte, Danny Glover, Hill Harper, Samuel Jackson, Spike Lee, S. Epatha Merkerson, Phylicia Rashad, Glynn Turman, Dr. Cornel West, Sonia Sanchez and Malik Yoba share eyewitness accounts of this American legacy.